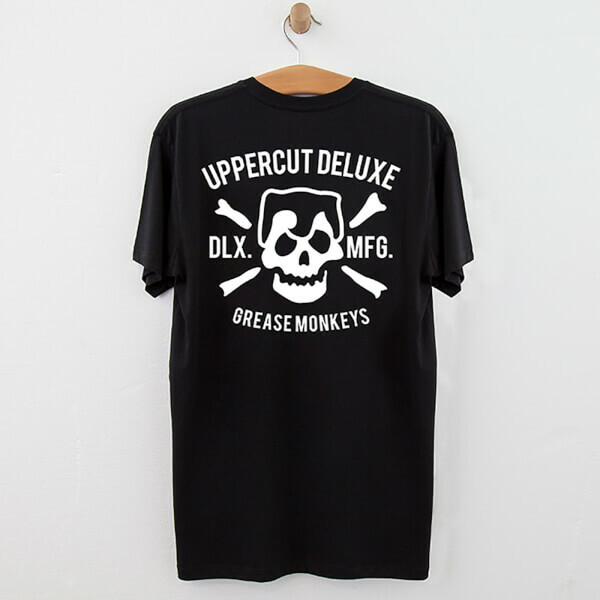 Wear an iconic design with the Uppercut Grease Monkey Lives T-Shirt in Black/White Print. Crafted from pure cotton and cut for a regular fit, the tee comprises a ribbed crew neckline, short sleeves and a straight hem. A favourite amongst barber shops worldwide, the classic top is complete with Uppercut’s signature ‘Grease Monkeys’ skull print.